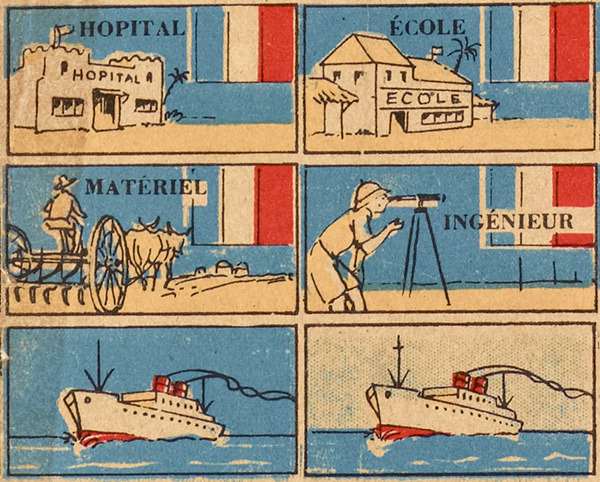 An appropriate follow-up to our collection of Hatay stamps, today we have some fantastic excerpts from a 1940 French board game called "The Game of the French Empire." Produced under the Vichy regime, the full board features a prominent picture of Marshal Petain, as well as that French fascist axe thing. 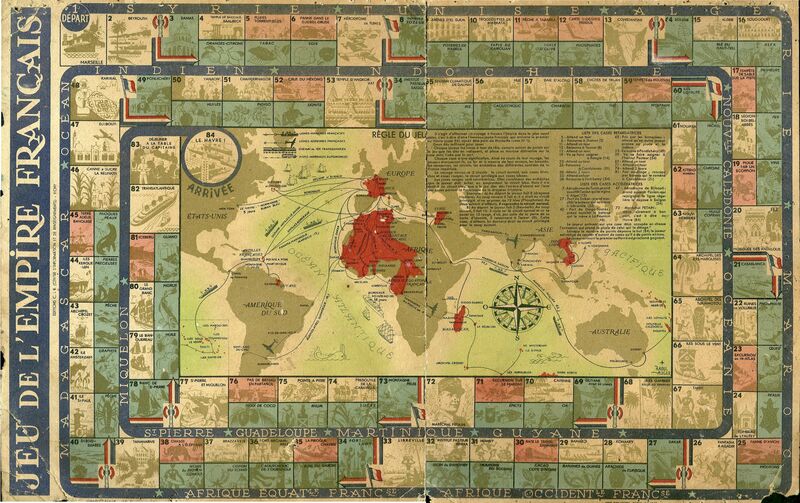 While there were other French Empire board games that appeared earlier - and the French were always proud of their Empire - it took on a special meaning during Vichy. It was a particular point of pride for the humiliated country, but preserving the Empire against British encroachment also served as a justification for French cooperation with Germany. Fighting between the allies and Vichy forces in the colonies is an often-forgotten part of World War Two. Anyways, the board features a map of the world, on which players depart from the port of Marseille and have to travel through all of the French colonies, braving scorpions, rain storms and more, before returning across the Atlantic to Le Havre. 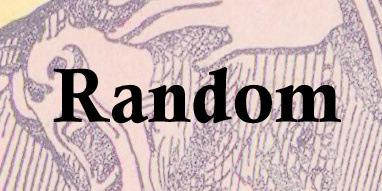 If your reading knowledge of French, like mine, is just good enough to understand the rules to a kids game, download the board and play along! Just remember, colonialism was not a game! Unless you were one of the colonizers, in which case you could treat it like a game, which was exactly what was so unfair about it in the first place. 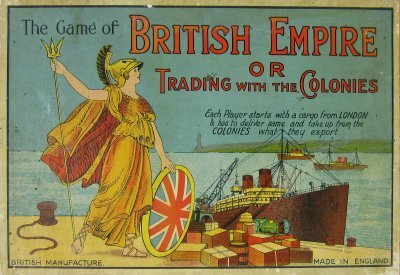 Finally, as a bonus, we have some game pieces from a different French colonial board game featured on Slate's fantastic history blog, and the box cover to its British equivalent.